Mobil Super 10W-30 engine oil offers proven protection to help extend engine life by helping protect against sludge and engine wear. 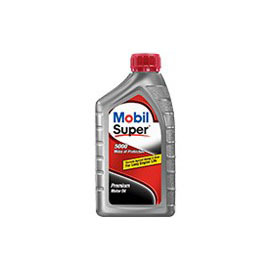 Mobil Super 10W-30 comes with a 5,000-mile protection guarantee. And, as with all of our premium engine oils, you get the Mobil Super Engine Guarantee against oil-related engine failure.